The Nissan Versa Note has never been a particularly big seller in North America. Its sedan counterpart is one of the largest and most capacious vehicles in the subcompact segment, but the Note has always been more of a car for European and Asian markets. There, it does fairly well, in part due to a higher-quality interior than the one fitted to the Note when it launched in the U.S. in 2014. DON'T MISS: 2017 Nissan Rogue Hybrid: better prospects than Pathfinder, Murano for small hybrid SUV? Between a shift toward smaller crossover utilities, a U.S. preference for sedans over hatchbacks, and intense price competition among subcompacts, the Note never made much of an impact here. Nonetheless, it's time for what the industry calls a "mid-cycle refresh," so the Note will likely receive some updates and new front styling for its next model year. And now images of the updated Note have leaked out—with a surprising twist: a hybrid version that will be introduced as well, to be known as the Note e-Power. The images were first published two days ago on the Japanese site Liveblog (via Indian Autos Blog). 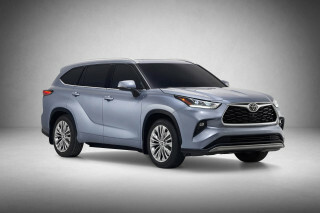 They show a mildly restyled front end with the latest version of the Nissan "V-motion" V-shaped grille, swept-back headlights, and a new front bumper shield with reshaped lower air intakes. The hybrid powertrain is said to power the wheels entirely via an electric motor, with the engine serving solely to recharge the battery, but we're skeptical about that assertion (translated from the Japanese). Such series-hybrid systems would require a larger battery pack than the 1.5-kilowatt-hour ones customarily fitted to hybrids, though certainly its Leaf electric car has given Nissan long experience in batteries. But Nissan's hybrid plans have long been a subject of speculation, and we look forward to learning more about its latest generation of hybrids. The previous set, a mild-hybrid system used on the Nissan Pathfinder and Murano, and the Infiniti QX60, was unimpressive and has sold only in tiny numbers. 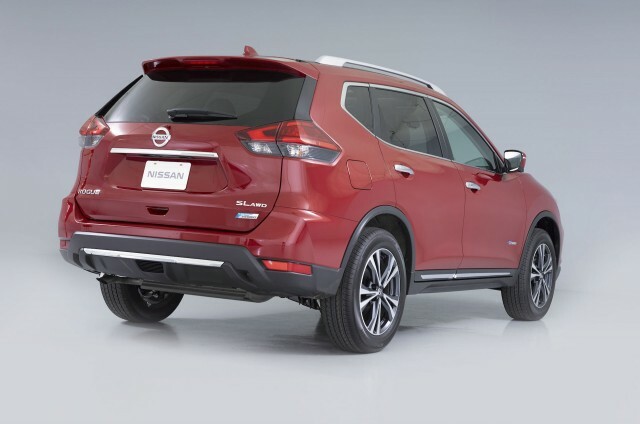 The company has higher hopes for a more powerful version of that system in the upcoming 2017 Nissan Rogue Hybrid. 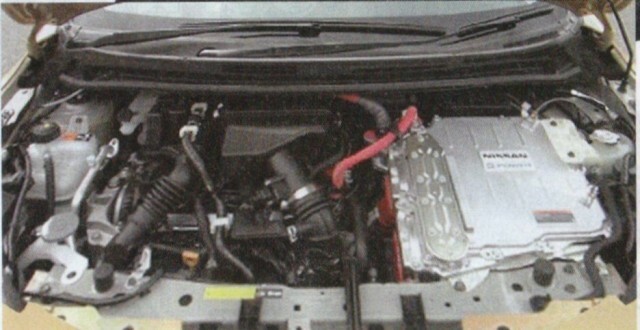 Nonetheless, the Nissan Note e-Power hybrid may be destined solely for the Japanese home market, where generous tax incentives mean that more than half the new cars sold are now hybrids. 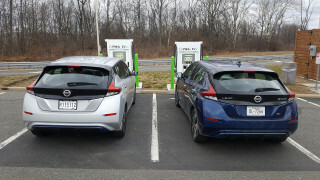 And it will almost certainly not be sold in the States, where relatively costly hybrid powertrains are migrating from inexpensive small cars to larger, heavier vehicles. 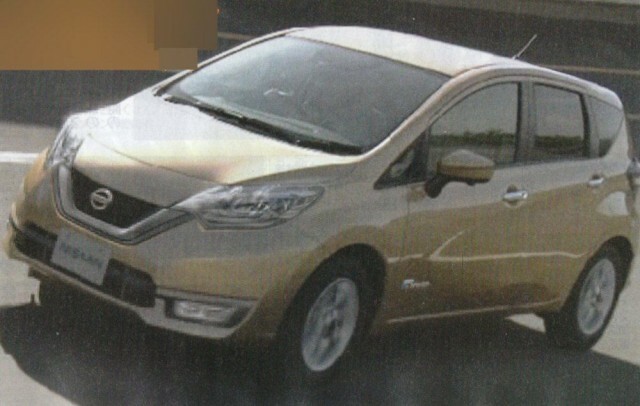 Range-extended electric Nissan Note to launch in November?